It is time to relax with The Bicycle Koi Playing Cards. 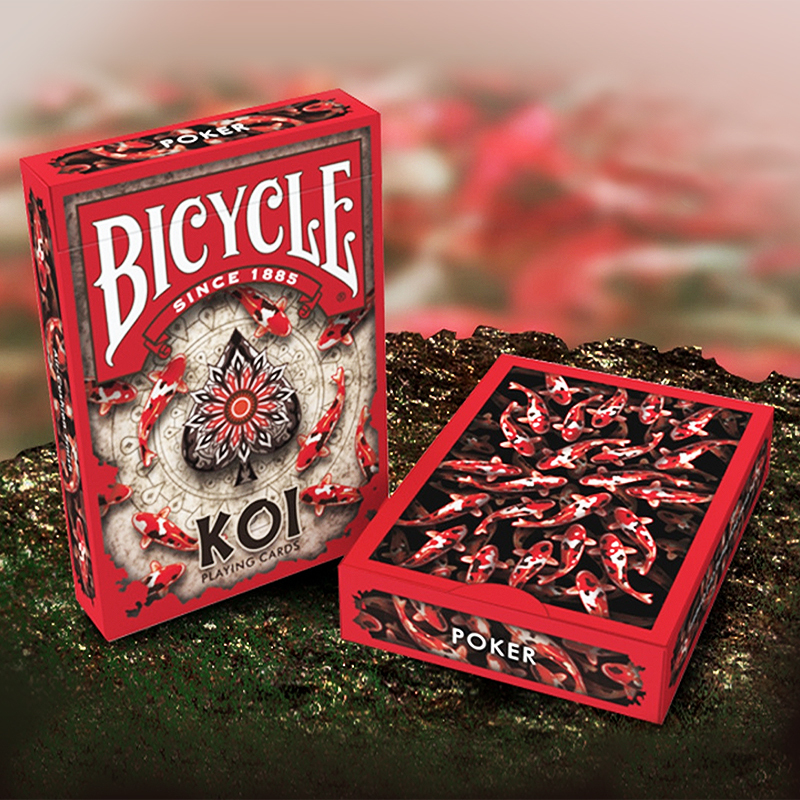 Prepare to go Koi Crazy with Collectable Playing Cards brand new deck The Bicycle Koi Playing Cards! These cards were Inspired by the beautifully colored fish mostly found in Asian cultured ponds and gardens around the world. The word Koi is a symbol of love and affection and are known as the the friend of the sea. Give these fishes a home and instantly feel the peace and serenity. As we stare directly down onto the tuck case we spot the stunning Koi surrounding a large spade sculpture. Asian themed patterns and artwork accompany the Koi in their natural habitat. The back cards are a beautiful cluster of the stunning colored fish. • The cards are poker size.